News outlets report that the Virginia's West Point School Board voted unanimously Thursday to dismiss teacher Peter Vlaming after a four-hour hearing that drew an overflow crowd. A former energy company executive from Vermont has a shot at becoming the nation's first transgender governor — but she says that's not the main reason she's running. Elias had a journey full of rejection, protest and finally limited acceptance in a country where homosexuality and dressing as the opposite gender are against the law. Nearly a week after the Pentagon publicly posted its new recommended policy on transgender troops, the department's chief spokeswoman refused to clarify portions of the memo. 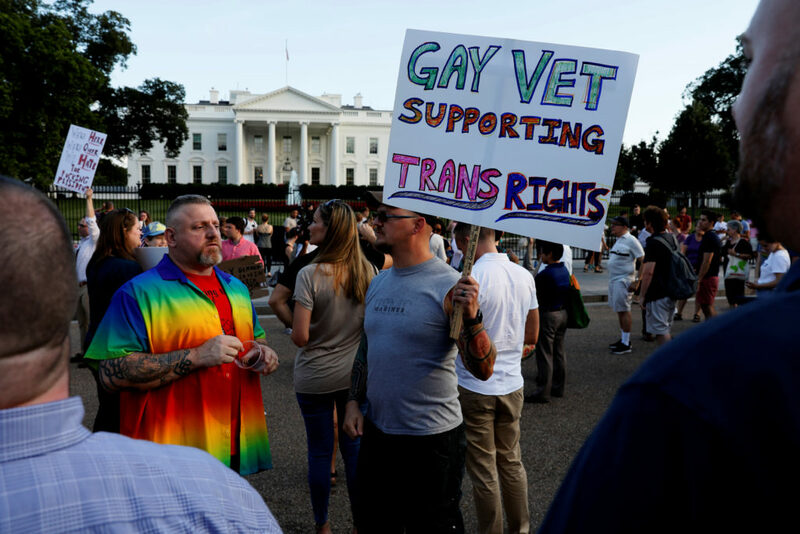 President Donald Trump released an order Friday night banning most transgender troops from serving in the military.